Economy News» Publishes The Budget Law 2018 ! details of the law ! CNN. Broadcasting While Laying Down The Law ! On the basis of what was approved by the House of Representatives and approved by the President of the Republic and based on the provisions of item (I) of Article (61) and Article (III) of Article (73) of the Constitution . The revenues of the federal budget for the fiscal year 2018 are estimated at (91643667236) thousand dinars (Ninety-nine trillion six hundred and forty-three billion six hundred and sixty-seven million two hundred and thirty-six thousand dinars) as shown in Table (A) According to the preparation) attached to this law . B - Calculation of the revenues from the export of crude oil based on the average price of (46) dollars (forty six dollars) per barrel and the export rate of (3888000) barrels per day (three million eight hundred and eighty-eight thousand barrels per day), including (250000) barrels per day And fifty thousand barrels per day) of the quantities of crude oil produced in the provinces of the Kurdistan region on the basis of the exchange rate (1182) dinars per dollar and all revenue is actually achieved a final revenue for the state treasury . Second: The ministries and entities not affiliated with the Ministry and the provinces are obliged to record all the amounts of cash grants obtained under the memorandums of understanding with foreign governments or institutions as final revenues of the Federal General Treasury and the Federal Ministry of Finance to reallocate them for the purposes for which they were granted . Third: The amounts allocated to the ministries and non-affiliated entities in the Ministry and the governorates after being accepted by the Federal Minister of Finance shall be credited as final revenue to the Federal General Treasury. The Federal Minister of Finance shall allocate them to the appropriations of the Ministry or the entity not connected to the Ministry of Disbursement in accordance with the purposes for which they were granted . The amounts of grants or donations from foreign governments and institutions to ministries and entities not affiliated with the Ministry or the governorates and the provincial councils under memorandums of understanding or from the private sector shall be recorded as final revenues for the Treasury whether these grants and contributions are in the form of technical assistance or the implementation of projects (other than training courses) , And that their guesswork is recorded in the records of the ministry or the non-affiliated to the ministry or the regions and governorates and the provincial councils of the relationship and acceptance of cash or in kind grants and re-allocation in coordination between the beneficiaries and each of the ministries of planning Financial federated . Fifth: The amounts of grants and unused subsidies shall be calculated from the amounts allocated to the government departments and public sector companies by the end of the fiscal year 2017 in accordance with the accounting standards used to calculate the final disbursement. The surplus or overpayments on these bases shall be considered as an advance against the grant allocated to the department or unit per year Finance . Article (2) First: Expenditure - The amount of (104158183734) thousand dinars (one hundred and four trillion and one hundred and fifty billion and one hundred and eighty-three million seven hundred and thirty-four thousand dinars). For the fiscal year 2018, including the amount of internal and external debt installments of (8246899000) thousand dinars (eight trillion two hundred and forty-six billion and ninety nine hundred and ninety million dinars), distributed according to (field / 3 total expenditure) of (Table / B expenditures by ministries) Annexed to this law . 1) The amount of (24650112138) thousand dinars (twenty four trillion and six hundred and fifty billion and one hundred and twelve million and one hundred and thirty thousand dinars) for project expenditures to be distributed according to (field / 2 expenditures of investment projects) of (Table / B expenditures by ministries) Law. Including the amount of (5516318350) thousand dinars (five trillion five hundred and sixteen billion and three hundred and eighteen million and three hundred and fifty thousand dinars) through foreign loans . 2) The amount of (79508071596) thousand dinars (seventy-nine trillion five hundred and eight billion seventy-one million five hundred and ninety-nine thousand dinars) for the current expenditures according to (Field / 1 - current expenditures of (table / expenditures by ministries) attached to this law . 3 A allocates an amount of (192 million) thousand dinars (one hundred and twelve ninety billion dinars) contingency reserve within the provisions of other expenses for the budget ofthe Federal Ministry of Finance out of the allocations mentioned in item (I-b) referred to above, including the Council of State and Council of Ministers Resolution No. ( 350) of 2016 . (B) The Council of Ministers shall add (2) trillion dinars to the contingency reserve allocations, provided that the disbursement shall be made to fill the shortfall in the account of employee compensation, investment projects, social protection network, the care of the disabled, special needs and martyrs' institution. 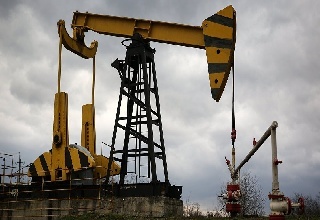 An increase in global export revenues of crude oil has been achieved . The governor must submit the plan for the reconstruction of the province and the districts and sub-districts approved by the provincial council, depending on the plans drawn from the councils of districts and districts to the Federal Ministry of Planning for the purpose of study and approval to take into account the most affected areas within the province and to allocate allocations to maintain the districts and related areas (15%) (15%) of the allocations of the province and (5%) (five percent) of the projects. Strategy of poverty alleviation . B- The Governor shall exclusively implement the approved reconstruction plan and the Governorate Council shall be responsible for monitoring implementation . Including the dues of the governorate for the previous years, for which no allocation has been made and 20% (20%) of the amounts realized from increasing the actual revenues from the planned revenues in the Federal Budget Law of 2018, provided that they are granted every six months, To be spent in the strategic and service projects within the most harmful areas . a. Issuing treasury transfers . B. Issuing national bonds to the public . 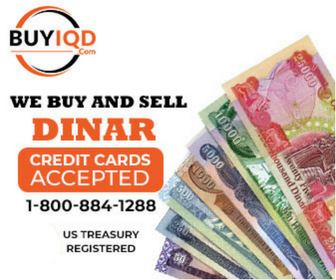 C. Issuing bonds and remittances to government banks are deducted from the Central Bank of Iraq . Dr. Loans from commercial banks . And. Issuing foreign bonds and loans that are tax-exempt . 3 - The Federal Minister of Finance or whoever is authorized to borrow from abroad to finance development projects after the approval of the Council of Ministers from the sources mentioned below, and the continuation of loans approved in previous years . a. Continue to borrow from the Japanese International Cooperation Bank (JBIC) out of the loan amount (500) million dollars (five hundred million dollars) to finance projects of the Ministry of Electricity. In the amount of (80) million dollars (eighty million dollars) from 2018. B. The Federal Finance and Planning Ministers should include the annual allocations of the loan to finance projects for the Ministries of Electricity, Construction, Housing, Municipalities and Public Works, Health, Labor and Social Affairs, Higher Education and Scientific Research. , Agriculture, Commerce, Education, Migration and Displaced, and the Baghdad Secretariat in 2018 ). Dr. To continue to borrow from the German Development Bank (KFW) out of the loan amount (500) million euros (five hundred million euros) to finance projects for the reconstruction of areas liberated from terrorism and the amount of (152) million dollars (one hundred and fifty-two million dollars) for 2018 . And. (4550) million dollars (four billion five hundred and fifty million dollars) to finance the needs of the Ministry of Defense and will be funded (706.4) million dollars (seven hundred and six million four hundred thousand dollars) from 2018 . I. Continue to borrow from foreign banks guaranteed by EKN Swedish at $ 500 million (five hundred million dollars) to finance the Ministry of Electricity , which will be implemented by the company projects (ABB) at $ 120 million ( one hundred and twenty million dollars) for projects the ministry mentioned the 2018 . J. To continue to borrow from the German Export Guarantee Corporation, Standard Bank and Gartrad for 500 million dollars (US $ 500 million) for the implementation of the German Siemens project of the Ministry of Electricity and will be funded (160) million dollars (one hundred and sixty million dollars) in 2018 . 4. Authorizes the Federal Minister of Finance to borrow (22) million dollars (twenty-two million dollars) for water supply projects in the governorates of Kurdistan Region, including the Halabja Water Project and from the Japanese Agency Loan (JICA). 6. Continuing to borrow for the various annual maintenance projects of the Ministry of Electricity with the guarantee of international export guarantee institutions in favor of theUS company GE. The sum of 350 million dollars will be financed in 2018 . 7. Borrowing from the Kuwait Fund for Arab Development an amount of 440 million dollars (four hundred and forty million dollars) to finance projects for the Ministry of Education in the amount of (80) million dollars (eighty million dollars) during 2018 . 9. Borrowing from international commercial banks and with the guarantee of the German Export Guarantee Corporation (500) million dollars (500 million dollars) to finance projects of the Ministry of Electricity to be implemented by the German company Siemens (80 million dollars) (80 million dollars) in 2018 . (4.8 million ) dollars (four million eight hundred thousand dollars) through 2018 . The Federal Ministers of Finance and Planning should add the annual allocations for the above-mentioned financing for 2018 out of the loan amount . And Dhi Qar / Ministry of Electricity for GE) . $ 200 million ($ 200 million) will be funded in 2018 .
a. ($ 174 million), including the increase of 54 million dollars (fifty-four million dollars ). B. The project of the auxiliary worker refining unit for the Ministry of Oil (1000) million dollars (one thousand dollars ). C. The second irrigation project for the Ministry of Water Resources (140 million dollars) (one hundred and forty million dollars ). The Federal Ministers of Finance and Planning must add the annual allocations for the above projects within the 2018 budget . 14. Borrowing with the guarantee of the China Export Insurance Corporation the amount of (500) million dollars (five hundred million dollars) to finance infrastructure projects and the Federal Ministers of Finance and Planning to add the annual allocations of projects above within the budget of the relevant bodies for 2018 . A) Guaranteeing a debt of $ 1.2 billion with interest . South Korean company STX for $ 125 million (one hundred and twenty-five million dollars) to finance, rehabilitate, maintain and operate the stations of the Ministry of Electricity . The Federal Council of Ministers may transfer between the loan allocations specified in paragraphs (2) and (3) of Article (2) of this Article and change the name of the beneficiary . 19. All sovereign guarantees of investment projects shall be approved by the Council of Ministers and approved by the Council of Representatives . 20. It is not permissible to conclude a loan agreement with foreign governments conditional on the pledge of oil and its derivatives without the approval of the House of Representatives . 21. The Federal Government and the Ministry of Oil commit to review the contracts of oil licensing rounds to amend the terms of contracts in a manner that preserves Iraq's economic interest and pays for increasing oil production and reducing costs and finding a mechanism for cost recovery so that it is compatible with oil prices and all regulatory bodies to report to the Council of Representatives on the procedures of implementing this article during Current year . 22 - Obligation of the Ministry of Oil to implement the decision of the Committee on Energy Affairs in the Council of Ministers No. 139 of 2013 the establishment of the second side of the path of the path (the second corridor) and the link between the province of Maysan with the province of Diwaniyah, according to contracts licensing rounds to provide social service. Article (3): The expenditure shall be deducted from the main expenditure accounts (compensation of employees, service inputs, commodity inputs, maintenance of assets, capital expenditure, grants, subsidies, debt service, interest and other expenses, liabilities, contributions, Federal Budget of the Republic of Iraq from the Federal Minister of Finance.The competent minister or the head of the entity not connected to the Ministry or the Governor or the Chairman of the Governorate Council shall have the authority to disburse directly in the light of the funds allocated within his annual budget and for the purposes specified for it under the expenditure plan approved by the Federal Minister of Finance. Federal . Article 4 - First - The Federal Minister of Finance authority to conduct transfers between the appropriations of the federal budget of the Republic of Iraq approved in the annual federal budget at the level of sections, sections, chapters, materials, species and sequence of type and each case separately . The House of Representatives announced on Saturday the vote on the budget law of 2018. "The House of Representatives completed the vote on the federal budget bill for the year 2018," a parliamentary source said. He added that "the Council raised its meeting to next Monday after the vote on the budget." The financial committee said Saturday that it had dealt with all the problems in the budget of 2018. The head of the committee, Mohamed Tamim, told a news conference attended by "Al-Ghad Press" that "all financial problems regarding the provinces and employee deductions were addressed, Sales taxes". He pointed out that "the most important problems dealt with by the Commission is the return of dismissed from military service to their ministry, in addition to the need to calculate service for those who have the certificate." It is noteworthy that the House of Representatives voted on the budget law in full paragraphs, and raised its meeting to Monday. The House voted on Saturday on the draft bill of the budget of 2018. The source, who preferred not to disclose his name for "Economy News", "The House of Representatives voted on Saturday the draft bill of the budget of 2018." He added that "the budget of 2018 amounted to 104.1 trillion dinars, while the proportion of current expenditures 79.5 trillion dinars and investment expenditures 24.6 trillion dinars." Prime Minister Haider al-Abadi congratulated all the Iraqi people on launching the general budget law for 2018, enabling the government to carry out its responsibilities and implement its development and service policies and projects, its economic and social program and securing the rights and interests of citizens and salaries of employees throughout Iraq. 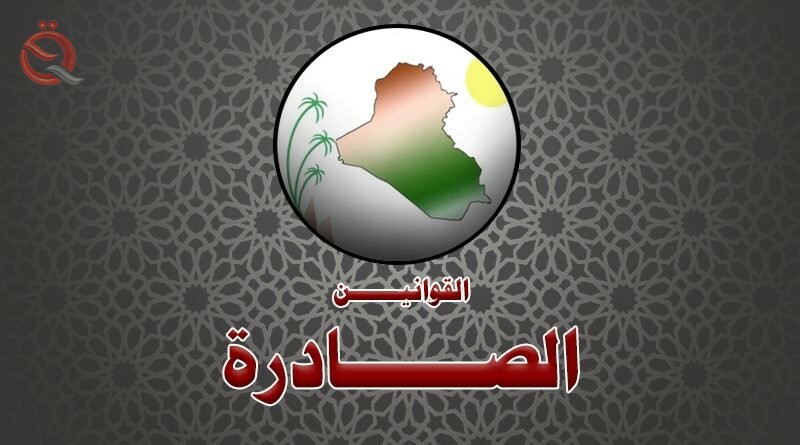 He stressed that the passage of the budget law is the outcome of cooperation between the legislative and executive authorities in spite of the many difficulties faced by Iraq and the challenges of the post-victory on the urging and efforts to achieve stability and services for liberated cities and reconstruction in all provinces. Abadi called on the ministries, institutions and departments of the state to perform their duties in the best possible way, and the need to work to rationalize spending, maximize state resources and tighten control of public funds. Prime Minister Haidar al-Abadi said on Saturday that the passage of the budget is the result of cooperation between the legislative and executive authorities despite the many difficulties faced by Iraq. "The Prime Minister Haider al-Abbadi congratulated all the Iraqi people on launching the general budget law for 2018, and enabling the government to carry out its responsibilities and implement its policies and development and service projects and its economic and social program and secure the rights and interests of citizens and salaries of employees," the office said in a statement. All over Iraq. " Abadi stressed that "passing the budget law is the outcome of cooperation between the legislative and executive authorities in spite of the many difficulties faced by Iraq and the challenges of the post-victory on the urging and efforts to achieve stability and services for liberated cities and reconstruction in all provinces." Thanks Thug. Well someone grew a pair and made the call. We move forward. Deputies of the Alliance of Forces, Saturday 03 March 2018, that the adoption of the budget of large trade for the affected provinces. MP Mohammed Tamim, with the participation of deputies of the Alliance of Forces in a press conference held in the House of Representatives, followed by the obelisk, we reached an agreement with the Prime Minister Haider Abadi on controversial articles in the budget. He added that the disbursement of nominal salaries in the next year, in addition to the disbursement of the amounts of delayed contracts and return them to their departments and the return of functional grades in previous budgets when entering the dues and the completion of the budget is a major achievement for the affected provinces. He added that the restoration of Awakening is also an achievement for the provinces. The House of Representatives began on Saturday to complete the vote on the federal budget law for the year 2018 after the quorum. The parliamentary bloc announced on Saturday that the budget included a paragraph obliging the government to allocate 200 million dollars for the unemployed. " The deputy governor of Zamili at a joint news conference of the deputies of the bloc, held in the parliament and attended by" Al-Ghad Press, "that" the budget was included Federal Federation of 2018 paragraph obliges the government to allocate degrees of employment for the employees of the ministries of defense and the Interior of the delayed contracts. " "Another clause related to the addition of functional grades of surplus oil revenues during the current year," he added. While the MP for the mass Majida Tamimi, during the conference, that the Finance Committee parliamentary "added many paragraphs in the budget of 2018." Among those paragraphs was "$ 200 million to the unemployed". The House of Representatives on Saturday resumed its 13th session under the chairmanship of Speaker Salim Al-Jubouri and voted on all the articles of the Federal Budget Law 2018. 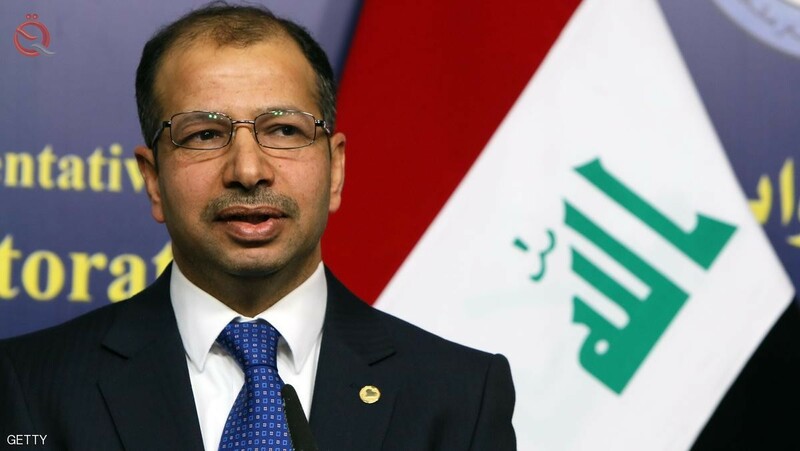 The Speaker of the House of Representatives Salim Al-Jubouri said after the session at a press conference attended by "Al-Ghad Press" that " The total federal budget law for the year 2018 in conditions that were not easy, which included many materials that serve the citizen. "The deductions from the salaries of employees and retirees of 3.8 percent have been canceled, and the sales tax has been reduced from 10 percent to exactly half," he said, adding that "the debts of farmers and farmers have been delayed." "The Council of Ministers was given in the budget powers to add financial allocations necessary to address any shortage of salaries of employees and retirees and the social protection network, and petrodollar allocations to the oil-producing provinces." He pointed to the budget included "the transfer of a number of powers of federal ministries to local governments," adding that "the ministries will bear the payment of the remaining installments of financial advances for victims of terrorist operations, and included funds to launch loans and advances banking." As for the differences over the budget between Baghdad and Erbil, Jubouri said, "Kurdish deputies wanted to include some budget paragraphs, has been added paragraph on salaries of employees of the Kurdistan region and Peshmerga, in addition to the transfer of money to the city of Halabja, along with other allocations. He stressed that "dealing with the people of the region ensure the observance of difficult conditions in terms of staff and farmers." Prime Minister Haider al-Abadi warned on Saturday of those who are trying to instill fear among the fighters and spread rumors. "There are many challenges we have faced, including unity to achieve victory, and we succeeded in that and fight corruption within the military institution, as corruption corrupts the body of the security forces," Abadi said in a statement to his office during a ceremony held by the Joint Operations Command. Formerly the basis of evil. " "We have overcome all these things and we have achieved victory," he said, stressing that "in every victory story there are victorious and there are the weak." "The families of the martyrs and the wounded whose victories were achieved by their sacrifices, the fighters and all those who did their part to defend the homeland," he said. "The sacrifices should not be forgotten," he said. "The sacrifices should not be forgotten. They warned those who wanted to instill fear in the hearts of the fighters and spread rumors, but they failed, and today they are eager to encourage terrorism." Speaker of the House of Representatives Saleem al-Jubouri said that the 2018 budget included reducing the sales tax from 10% to 5%. He added in a press conference held at the House of Representatives and attended by "Economy News" that "the Council of Ministers has been given the authority to add any financial allocations to address the shortage of salaries of employees and retirees and social protection network," noting that "sales tax was reduced from 10% to 5% "He said. He explained that " the vote was also to accelerate the title of the employee with a certificate during the service, and included the budget granting of loans by government banks to citizens whose homes were demolished by a preacher because of terrorist operations or during military operations during the liberation. He added that "the budget included the allocation of functional grades for employees of the Ministry of Defense and Interior and included the budget to pay salaries to employees and retirees in liberated areas." He stressed that Parliament is keen to support the economy and the welfare of society and the market and raise the level of services through the adoption of the budget law 2018 . Youuuuu daaa maaaan Thugs. Nice play by play and very much appreciated bro, now, let’s move on and keep the momentum going. Thanks Thug for bring these updates. Checking for Blue Couch special's on Amazon!!! Mention Frank’s Name When Ordering And Receive A Free Blue Couch Whoopee Cushion With Frankie’s Face On It ! After a lapse of more than two months, the parliament resolved the vote on the law of Iraq's budget for 2018, during a session attended the presence of 187 deputies, and missed by the Kurds, and also saw the vote on the law of provincial and district elections. And immediately from the success of Parliament to vote on the budget law, Prime Minister, Haider Abadi, that great achievement, which counted "the outcome of cooperation between the legislative and executive authorities." During a press conference held at parliament after the completion of the vote on the draft budget law, the Speaker of the House of Representatives, Salim Jubouri, that "the Council ended the last budget in its current session," noting that "included giving the authority to the Council of Ministers to add allocations if there was any shortage of salaries Staff and social protection network ". The revenue of the budget law, consisting of 60 paragraphs, is estimated at (91643667236) thousand dinars (ninety nine trillion six hundred and forty-three billion six hundred and sixty-seven million and two hundred and thirty-six thousand dinars), while the revenues calculated from the export of crude oil in the budget, The price of (46) dollars with a daily export rate of (three million eight hundred and eighty-eight thousand barrels). Much Appreciated Thugs, So now thats done with, what's there next move on there agenda. And I hope they don't say they need a 2 week vacation. My Favorite song in this investment. Something for nothing leaves nothing leaves nothing if you want to be with me. Come on folks sing along.